Neo 40 is a Nitric Oxide blend from beet root and hawthorn berry extract. Nitric Oxide (NO) is a naturally occurring compound that improves circulation. It is something that the body naturally produces, but the ability to do so can diminish once someone is over the age of 40. What is Neo 40 good for? A HOST of different benefits all related to improved blood circulation!! Can reduce sexual dysfunction in males! Who would benefit from taking Neo40? Who Dr. Gifford Jones is, and Why he Takes Neo 40 regularly! Dr. Gifford Jones is a former practicing Medical Doctor turned Medical Researcher & Journalist. He is 92 years old, and is as sharp as a whistle. He speaks all over Canada of various different Natural Health Products that he has formulated and stands behind. Almost 2 decades ago, Dr. Gifford Jones suffered from a heart attack, which has steered his life greatly toward healthier alternatives to treat and cure heart disease and related conditions. Since his heart attack, he has done extensive research on products to improve the health of his heart and many who suffer from similar situations. In an article he wrote recently, Dr. Gifford Jones states that he feels that the regular intake of Neo 40 is one of the reasons he’s managed to stay alive for 19 years after a heart attack!! Check out the Article by Dr. Gifford Jones Here! 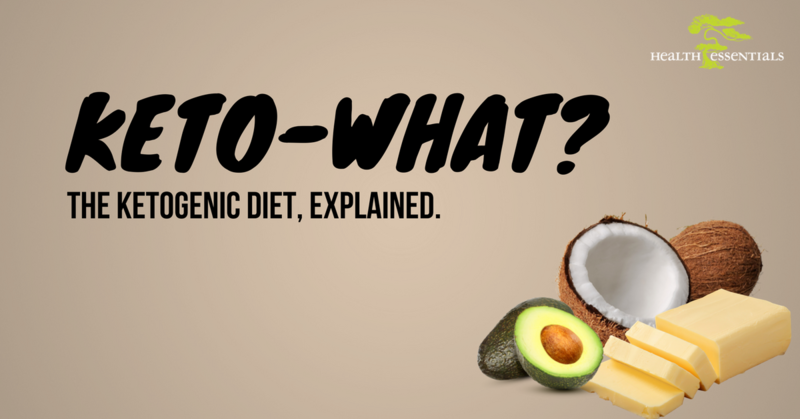 Ketogenic diet – a diet that tends to promote the metabolic formation of ketone bodies by causing the body to use fat (rather than carbohydrate) as its principal energy source. Ketosis – a metabolic state characterized by raised levels of ketone bodies in the body tissues. Ketone body – any of three related compounds (acetone, acetoacetic acid, beta-hydroxybutyric acid) produced during the metabolism of fats. Things can sometimes get tricky when it comes to the world of “diets”. Often, we’re thrown a million and one suggestions as to what we are supposed to be eating daily, or even hourly. What can help to make it easier, is to really understand what is going on in the body when we consume certain foods. Fats and carbohydrates are typically thought of as the two main fuel sources for the body. Carbohydrates provide very short term and quick supplies of energy, while fats a more long term, and far slower supply. Carbohydrates are actually the cell’s “preferred” choice of energy… because they are absorbed extremely quickly to produce energy. Fats are used as energy sources only in an absence of carbohydrates. When we first wake up in the morning, our bodies are “fasting”. This means that we haven’t eaten in 8-12 hours and in this state we have begun to use our fat stores for energy. Thus, our body is burning ketones. When we eat a “breakfast” meal that is full of carbohydrates, our body quickly comes out of this fasting state and uses glucose (sugar that makes up carbs) as a fuel source. This is all fine and well if we are expending energy and burning off what we’ve just consumed. In many cases, however, we’re consuming more energy than we actually need to use immediately, and the glucose is converted to fat and stored in the body. Ketogenic diets are very high in healthy fats and low in carbohydrates. They are designed to put the body into a ketogenic state, or ketosis. The ratios of fats to protein to carbohydrates varies a bit for everyone, but the graph above is based on an average carbohydrate tolerance. Due to the body’s preference to use glucose for fuel, it’s important to keep the carbohydrate intake to a minimum*. This will help your body stay in ketosis and burn fat for fuel. How do I know my body is in ketosis? There are a few common methods of testing to see whether your body has entered ketosis. Some people who eat a strict ketogenic diet will stick to this method of eating everyday with no “cheat” days. Others will do a carbohydrate re-feed day once a week. This is sometimes termed as cyclic ketosis because you’re forcing the body into ketosis most days, and then allowing it to leave a state of ketosis for one day. A hormone in the body known as leptin is produced by our fat cells to regulate our appetite and promote satiety. When we eat too many carbs, our body can become resistant to leptin and we never feel full. Often people find when they follow a strict low carb diet for too long their leptin levels fall too low and they feel hungry more often. A carbohydrate re-feed day can reset this balance and ensure that the body stays leptin-sensitive. *Note: When counting or tracking carbohydrates, be sure that you subtract the fibre from the total, as it will not effect your state of ketosis. Ketogenic diets are not necessarily suitable for every person or every lifestyle. Everyone is completely different. 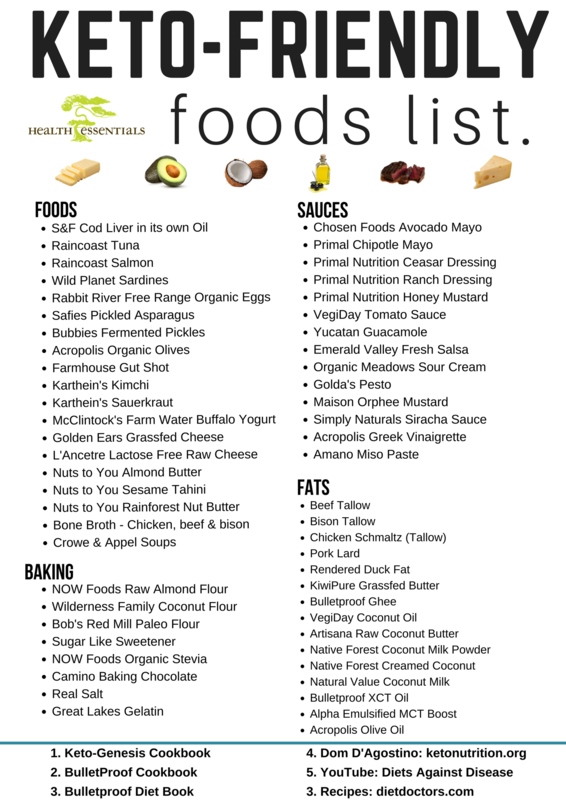 Check out our Keto-Friendly products and food list for low carbs foods you can find at Health Essentials. Butter – known traditionally as “Nature’s Multivitamin” – is definitely in high demand at Health Essentials. We definitely put that s*** on everything ;). But, like anything else amazing in this world… not all butter is created equal. In fact, there is definitely a plethora of butter on the market today that is best avoided altogether. Here, we’ll outline some of the major things to look for in a quality butter. Exactly how humans do better eating natural, whole-food derived diets made from seasonally available foods… animals that graze on pastures and eat the diet that they’re biologically designed to consume, have healthier, happier lives. AND just how humans do best in healthy, natural environments, so do animals! Grazing animals that live on pasture are allowed to eat the foods that their bodies NEED to thrive, and can soak in the environmental nutrients that keep them healthy as well – such as Vitamin D from the sun! The nutrient level of the foods that we consume from animals (such as meat and dairy) are of higher quality when the animal’s lives are enriched and healthy. Real, LIVE grass that grows out of the ground and isn’t treated with pesticides or chemicals provides animals with the nutrients that they need to thrive. Herbivorous animals (those who consume grass) have fermentation-based digestive systems that depend on grass, specifically, to fuel them and keep them healthy. Ensuring that animals get what they need to be healthy helps to ensure that the dairy and meat we consume from them are full of nutrients as well. Thus, the quality of the animal’s diet = the quality and quantity nutrients in the foods we derive from them. Butter that is derived from grassfed cows is generally higher in nutrients such as butyrate, omega 3’s, CLA, beta-carotene, fat soluble vitamins – A, D, E & K, and antioxidants. It also tends to be LOWER in toxins. This is because toxins often accumulate in the fat tissues of animals, so the healthier the animal producing the milk, the less toxins to worry about! “Grassfed” is a term thrown around quite loosely in today’s food market. Its meaning is rather straight forward, however, there are multiple levels of it. Here’s why: As soon as an animal spends ANY length of time grazing on fresh grass, it technically qualifies them to be considered “grassfed”. Like… that could be a day in their whole life, which in our books just doesn’t quite cut it on the quality side of things. So, what’s important to look for is the specification of TIME that the animal spends grazing. Provided that the farms who produce this butter are reputable and the sourcing is fabulous, this butter is generally the best of the best. The cows who produce this butter are eating a wholesome and natural diet and their milk production reflects this. Seasonally Pastured animals are grazing and consuming real grass for a minimum of 60% of their diet. This means that for up to 40% of the time they can be consuming some form of grains to supplement their diet. When shopping for seasonally pastured butter, it’s important to look for the “Organic” certification, and/or choose to buy that particular butter during “grazing” seasons. Organic meadows butter is sourced from Ontario, Canada. It is an Organic Seasonally Pastured butter. The cows that produce this butter are on pasture from April – November most years. It’s also a cultured butter, which is great for those who are a bit dairy sensitive. A few times of the year, we’re able to get in this butter with a special badge on it denoting that it’s sourced from 100% pastured cows!! We are sure to stock up on this butter at those times of the year to help ensure there’s enough to go around even into the off-season. L’Ancetre butter is another seasonally pastured option. The cows that produce the milk used for this butter graze for 60% of their diet on pasture. The other 40% of their diet consists of Organic grains. This 60:40 ratio is guaranteed at any time of the year, and since its produced in Quebec with a typical grazing season of April – October, this butter can be a great choice throughout the spring and summer months. The Bulletproof Executive: Dave Asprey. Dave Asprey, a once Silicon Valley Investor and technology entrepreneur, began his journey into the natural health and biohacking world over 2 decades ago. Since the start, he’s “invested” over $300,000 to “hack” or “optimize” his own biology. After a hard-fought battle with “conventional” weight loss techniques with little to no progress, Dave lost over 100lbs without excessively exercising, starving himself, or counting all of his calories! Now his amazing company focuses of producing products to help others easily achieve health, and spreading the message of this “unconventional” way of living optimally! Dave founded Bulletproof in order to spread his message and make these simple, yet against the grain techniques and “hacks” accessible for less than the cost of a home ;). Some might say that Dave does the experimentation and research so that we don’t have to. The premise behind the amazing lifestyle that Dave advocates, starts with your morning coffee. Check out the video below to learn more about Dave Asprey’s Bulletproof coffee and lifestyle! Celebrate St. Patrick’s Day with this green Matcha Latte with a little Irish twist ;). Place all ingredients (except whipped cream) into a blender and blend until smooth and frothy. Top with Whip Cream if desired. Enjoy! The Key to a Heart Healthy Valentines Day…. Eat Your Heart Out This Valentine’s Day. Wait…. WHAT? How is that romantic in any way? Okay, okay. It’s not necessarily your run-of-the-mill option for a romantic dinner, but as it turns out heart actually has a texture similar to steak, and who doesn’t love a good steak dinner? In comparison to most other organ meats, most people agree that heart is actually one of the easiest to consume. AND since it is so ridiculously good for you, you’ll feel AMAZING after consuming it. Don’t you want to feel amazing while on a hot date? Nutrient density plays a major role in determining the health of our food. Unfortunately, somewhere along the line, we lost our instinctive draw toward foods that are higher in nutrient content. Talk to your grandparents…. almost a guarantee that they consumed some type of organ meats in their youth, and more than likely, they loved them. For whatever reason, the health-media world has given organ meats a really bad rep… This is probably why, as a population, we’re so turned off of eating these important food components. In traditional tribes, being granted with permission to eat organ meats was a privilege few would regularly encounter. These precious parts were reserved for tribe leaders, the sick, the elderly, and pregnant women. Being a red meat, heart is naturally high in protein, B Vitamins, zinc, selenium and iron. Where it really stands above all, though, is it’s extremely high content of CoQ10. CoQ10 (or Ubiquinol – its active antioxidant form) is a natural antioxidant that is found in EVERY cell in the body, and in particularly high concentrations in organ meats. CoQ10 assists in energy production and utilization of oxygen in cells. Heart contains the highest amounts of this important metabolic compound, due to the high volume of work that it does. CoQ10 can be consumed in low concentrations in various meats, and can be take as a supplement. The highest concentration of this vital antioxidant is found hearts of animals, where it is utilized most; therefore, eating heart is great for YOUR heart. New to cooking and consuming heart? This tasty slow-cooker recipe can help you ease into it! 1) RINSE THE GRASS FED HEART & TRIM THE WHITE-ISH SKIN OFF THE HEART. 2) CHOP THE HEART INTO SMALL PIECES AND SET ASIDE. 3) BLEND THE BROTH, GARLIC, TOMATO PASTE, SEASONING, CHERRY TOMATOES, & AMINOS IN A BLENDER UNTIL FAIRLY SMOOTH. 4) PLACE THE VEGGIES, BAY LEAF & MEAT IN A SLOW COOKER AND POUR THE BLENDED MIXTURE ON TOP. 5) SET SLOW COOKER TO LOW FOR 6 TO 8 HOURS, OR HIGH FOR 4 TO 6 HOURS. 6) COVER AND LET COOK, STIRRING ONCE OR TWICE THROUGHOUT COOK TIME. 7) SERVE IN BOWLS & ADD SALT, BUTTER & FRESH BASIL TO TASTE! ENJOY!